Frivolous spending and opaque processes plague Nigeria’s federal budget. Civic startup BudgIT launched in 2011 to take on this challenge. The organization aims to make budgetary data from Nigeria’s Federal Government more accessible and understandable through digital technologies, including making PDFs machine-readable and designing visual representations of the data for those with low data literacy. Their campaign to drive awareness and analysis of the 2017 federal budget successfully reached 2.5 million Nigerians via online and offline platforms and engaged 25,000 citizens in the review process. This led to action on unnecessary budgetary items and “fake” projects. In one example, BudgIT exposed a 41 million naira (US$113,575) investment that claimed to be funding a non-existent youth center in Kebbi State. By encouraging careful public review of the budget, BudgIT mobilized civil outcry on public pay levels, resulting in a public servant salary cap. BudgIT’s successes demonstrate how improvements in data openness, accessibility, and literacy can build trust in public institutions and improve efficiency in public spending by reducing waste. According to BudgIT’s 2017 annual report, their 2017 Budget Review actively engaged 25,000 people and reached close to 2.5 million Nigerians via online and offline channels. As a result, BudgIT exposed and called for action on frivolous budgetary items and “fake” projects. In one example, BudgIT exposed a 41 million naira (US$113,575) investment that claimed to be funding a non-existent youth center in Kebbi State. Civil outcry on public pay levels, exposed through careful review of the budget, also resulted in a public servant salary cap. Written by Jessica Espey (SDSN TReNDS Director) with input from and thanks to Oluseun Onigbinde (Founder of BudgIT), Eric Swanson (SDSN TReNDS member and Director of Open Data Watch) and Jay Neuner (SDSN TReNDS Communications Manager). Nigeria is sub-Saharan African’s richest economy, with a nominal GDP of $404 billion as of 2016 and an annual GDP growth rate of 2.47 percent as of 2018 (World Bank n.d.). However, its competitive economic growth and social development is undermined by widespread corruption. The country was ranked 148 out of 180 countries featured in Transparency International’s 2017 Corruption Perceptions Index with a score of 27 out of 100, classifying it as “Highly Corrupt” (Transparency International 2017). The exact scale of corruption in Nigeria is unknown but estimated to have a large impact; according to one estimate from PwC, Nigeria’s economy could have been 22 percent bigger in 2016 if its levels of corruption had been closer to those of its neighbor, Ghana (PwC 2016). In one instance, a 2016 government audit identified and resulted in the removal of 50,000 “ghost workers” from the government’s payroll, with savings estimated at 630 million euros (approximately US$734.6 million) (Agence France Presse 2016). PwC claimed in its report that if the country’s leadership does nothing about this corruption, the cost could amount to almost $2,000 per person per year by 2030 (PwC 2016). BudgIT uses a range of online and offline communications tools to make budgetary information more accessible to the general public, with the aim of raising transparency and accountability within government. BudgIT’s method is to undertake data mining and then creatively represent data (e.g. through infographics) to empower citizens to use the resulting information in demanding improved service delivery. They also communicate their findings through radio and television. Beyond budget access, BudgIT creates tools for citizens to do their own budgetary tracking. One such tool is Tracka, created in 2014. It is an e-platform that allows Nigerians who are “online” (with access to the internet and/or mobile phones) to share updates and photos on development projects in their areas. BudgIT’s project officers also facilitate engagement “offline,” consulting with local communities to gather information for the platform and by using information from the platform and other sources to help citizens provide feedback to their elected representatives about the status of local projects. According to Onigbinde, Tracka is operational in 30 states across Nigeria and over 600 communities (Onigbinde 2018). It also has a media and TV component, with a radio program broadcast across six states. BudgIT also advocates to influence a national debate on public spending. It generates policy papers; analyzes existing open government, transparency and anti-corruption activities; and works with international organizations such as CIVICUS, Open Government Partnership, and the OPEN Alliance to encourage the Nigerian government to adhere to international standards of transparency and accountability (Open Alliance Nigeria n.d.). BudgIT was conceptualized at the Tech-In Governance event, a 48-hour hackathon organized by Lagos, Nigera’s Co-Creation Hub in March 2011. The platform launched on September 13, 2011 (Washtell 2014). In 2013, BudgIT’s total revenue from grants, consulting, and competitions was 34.9 million Nigerian naira (US$96,600). In that year, personnel were its biggest outgoing expense, accounting for 33 percent of total expenses and 18 percent of their revenue. In 2017, the organization’s total revenue had grown to 495.7 million Nigerian naira (US$1.4 million). In that year expansion projects were the biggest outgoing expense with personnel coming in second, accounting for 19 percent of total expenses and 24 percent of total revenue (BudgIT, n.d.; Guay 2017). As of 2017, BudgIT has expanded its work to Sierra Leone and Ghana. As highlighted in the 2012 to 2017 annual reports, BudgIT facilitates much of its work through partnerships (BudgIT, n.d.; Guay 2017). According to Onigbinde, “for our work to scale we cannot do it without broad range of partners and [civil society organization] engagement” (Onigbinde 2018). In 2013, BudgIT worked with 28 civil society organizations and participated in or made presentations on the Nigerian budget at 32 civil society sessions. As of 2017, the organization has 55 civil society partners and was employing a broad range of new public communications tools, including e-tools, SMS, a regular radio program, and social media. BudgIT also has partnerships with official national institutions including the National Assembly of the Federal Republic of Nigeria (“National Assembly”), the National Assembly Budget and Research Office, the Budget Office of the Federation, and the Kaduna State Government. BudgIT has also provided support upon request to the Nigerian Extractives Industries Transparency Initiative (NEITI), the Federal Ministry of Budget and National Planning, and the Lagos State Ministry of Economic Planning and Budget (BudgIT, n.d.; Guay 2017). As noted above, BudgIT’s 2017 operating budget was US $1.4 million, with personnel and project expansion expenses taking up more than half of all outgoings. As of 2018, Onigbinde estimates it to be closer to $1.8 million USD (Onigbinde 2018). The Bill & Melinda Gates Foundation and the Ford Foundation were BudgIT’s largest donors in 2017, contributing $285,495 and $250,000 respectively in that year. The Bill & Melinda Gates Foundation website characterizes itself as a “long-time supporter,” having contributed a total of $1.4 million as of November 2016 (Bill & Melinda Gates Foundation, n.d.). Other funding comes from the John D. and Catherine T. MacArthur Foundation, the Open Society Initiative for West Africa, the Natural Resource Governance Institute, Oxfam International, the U.S. Embassies in Lagos and Abuja, the Indigo Trust, and the Omidyar Network (BudgIT, n.d.; Guay 2017). International donors provide 90 percent of the organization’s core operational funding (Onigbinde 2018). According to Onigbinde, “it can be difficult to show social impact as it’s not a sprint, it’s a marathon,” and giving people more information won’t lead to changes in policies and programs overnight. It requires understanding and use of the data, then engagement with elected officials, and long-term advocacy and influencing in partnership with a broad range of other actors such as journalists and civil society organizations. As such, “[BudgIT is] not solely responsible for impact, but [the organization does] try to show [its] contribution” (Onigbinde 2018). In spite of these caveats, there is demonstrable evidence of BudgIT making budgetary data more open and accessible and instigating conversations on public financial flows in Nigeria. BudgIT has engaged millions of citizens in what was a complex, opaque, and inaccessible government process. According to the organization’s 2017 annual report, in the preceding year BudgIT reached approximately 2.5 million people–1.5 million Nigerians offline, as well as 1 million more via digital spaces. The Tracka program was particularly successful in promoting offline engagement by using BudgIT project officers to share the feedback of “offline” communities or individuals through the platform or with local representatives. Engagement occurred in more than 600 separate communities, monitoring 5,273 public projects. For example, BudgIT organized more than 4,271 town hall meetings to sensitize citizens across the country (BudgIT 2018). The depth of the organization’s engagement is illustrated through its 2017 campaign to analyze the Nigerian federal budget. Working with citizens, BudgIT compiled a 2,210-page document of searchable budgetary data. It was then translated into simplified budgetary documents for public distribution. BudgIT distributed 20,000 copies of these simplified budget documents and sent out approximately 480 budget-related SMS messages to Nigerians in urban and rural areas, encouraging citizens to review the budget. It also produced over 210 infographics highlighting insights from the budget; these were curated and distributed on social media with over 1.6 million impressions. Over 25,000 citizens actively participated in the process and the full, simplified report was subsequently submitted to the National Assembly and the Federal Budget Office. This outreach set a new precedent for public engagement in the Nigerian federal budget process via online and offline channels, despite this engagement not being required by law. According to Onigbinde, the value of this engagement is not just about giving citizens information to engage with their public officers, but also about changing local conversations. He considers the Tracka project to be their most successful activity as “it’s not just about getting something done or built, it’s about the strength of the conversations at the grassroots […] and about challenging the psychology of society and that of its public officers” (Onigbinde 2018). As a result of BudgIT’s and citizens’ analysis, BudgIT identified a number of suspicious or frivolous planned expenses in the 2017 federal budget — including a 656 percent spending increase over 2016 levels on the legal aid council’s “office stationeries and computer consumables” (Guay 2017). Careful review of sub-national budgetary documents also exposed corruption at different levels of government. In one instance, identified by the Tracka project, the Honorable Muhammad Umar Jega– a National Assembly representative for Gwandu, Aliero, and Jega in Kebbi State–facilitated the allotment of 41 million Nigerian naira (US$113,575) for a youth center that did not exist (“Tracka Uncovers a N41 Million Non-Existent Youth Centre in Jega Community, Kebbi State” 2018). This and other non-existent projects were highlighted via media and press–for example, in the Premium Times (Adebowale, Katty, and Adebowale 2018)–resulting in citizen advocacy and, in some cases, dialogue between citizens and local officials on revisions to their local budgets. More transparent review of government budgets has also opened a discourse between the government and citizens on allocation of resources and compensation. In 2016, the government made a controversial call to remove fuel subsidies. The policy was very unpopular as demonstrated by widespread riots (Mark 2012), and was made all the more so when, due to the communication efforts of groups such as BudgIT, citizens saw how much of the national budget was being spent on government workers’ compensation. The government responded by offering concessions, including a 25 percent cut in the salary of several high-ranking officials (Firth 2013). BudgIT’s work has highlighted the complexity of the budgetary process in Nigeria and its inaccessibility not only for citizens, but also for companies and development entities. The organization has therefore tried to position itself as a financial intermediary that can help individuals, corporations, and development organizations sift through dense budgetary information and answer specific budgetary queries. In 2017, BudgIT received over 2,000 unique data requests monthly from corporate and organizational users. According to Onigbinde, one of the most important roles an intermediary like BudgIT can play is making budgetary information machine-readable so it can be easily and rapidly searched. BudgIT does this by sourcing relevant budgets from the federal and local budget offices in their standard PDF form. They submit the documents to an online software conversion service and then go through a rigorous data cleaning and validation exercise to ensure the official PDFs have been accurately translated. Once the documents are in a searchable format, BudgIT works on “drawing out insights, building designs, media strategy and building connections” (Onigbinde 2018). One user of BudgIT’s data professed, “planning for my business is easier because of the understanding gotten from BudgIT’s interpretation of the budget” (Omidyar Network 2017). Said another, “My quality of life/work has improved because of access to adequate information of which I harness in my job-related activities (finance and treasury) and intellectual development in personal dealings” (Omidyar Network 2017). In spite of their initial success, BudgIT faces a number of ongoing challenges. First and foremost is outreach to those who are “offline,” given that many of BudgIT’s tools require access to mobile phones or the internet. Across Nigeria there is limited cell service and poor connectivity in many rural areas (OpenSignal n.d.). Tracka’s primary function–allowing online users to enter information about local projects–is one such example, though BudgIT has attempted to bridge this digital divide in its programming through offline engagement by its project officers. Second, BudgIT has challenges reaching a large proportion of the population who are illiterate–approximately 49 percent as of 2008 (UNESCO n.d.)–and/or innumerate and therefore struggle to understand budgetary information even when it is converted into a visual format such as infographics. BudgIT’s end users are therefore limited to those who are digitally literate and, for the most part, those who are not living in poverty. According to a survey conducted among users of BudgIT in 2017, only 9 percent are living in poverty, compared to 50 percent of the national population (Omidyar Network 2017). Third, access to budgetary information is highly dependent upon BudgIT’s relationships with government officials. According to Onigbinde, “BudgIT staff spend a lot of time chasing officials for budgetary documents and many don’t feel obliged to respond to you, in spite [sic] the Freedom of Information Act. This is useful but we don’t have a punitive structure so if people don’t respond there is no recourse.” Further exacerbating the problem, members of the National Assembly have expressed their distrust of the project, not least of all as BudgIT has also launched various campaigns calling for public officials’ salaries to be made public (Kazeem 2017). In the seven years since its inception, BudgIT has helped thousands of Nigerian citizens better understand budgetary data from Nigeria’s Federal Government. It has promoted more open dialogue between citizens and government officials on spending and project implementation, fostering a culture of accountability which has led to various national and local budgetary changes. There is a clear case for replicability of the project in other countries with opaque governmental processes. However, given the often-adversarial nature of the work, it is unlikely that local public resources will support these efforts, and local private philanthropy options are limited. Replication will therefore be dependent on international donor investment in similar data sharing platforms, but also in local human capacity to engage citizens offline, help them interpret findings, and to facilitate engagement opportunities with local officials. Adebowale, Nike, Qua’alar Katty, and Adedigba Adebowale. 2018. “How Nigerian Lawmakers’ Multi-Million Naira Constituency Projects Are Abandoned across Communities.” Premium Times, May 25, 2018. Agence France Presse. 2016. “Nigeria Removes 50,000 ‘ghost Workers’ from State Payrolls,” December 28, 2016. https://www.nation.co.ke/news/africa/Nigeria-removes-50-000--ghost-workers--from-state-payrolls/1066-3499890-p5g0fwz/index.html. “Budget Reform Takes Front Burner As NILS Host Influencers.” 2018. National Institute for Legislative and Democractic Studies Blog. January 17, 2018. Firth, Niall. 2013. “How Open Data Empowers Citizens of Poorer Nations.” NewScientist, November 13, 2013. https://www.newscientist.com/article/mg22029434-400-how-open-data-empowers-citizens-of-poorer-nations. Guay, Jennifer. 2017. “Apolitical Case Study: Nigeria Holds Public Servants Accountable with Budget Watchdog.” March 6, 2017. https://apolitical.co/solution_article/nigeria-holds-public-servants-accountable-budget-watchdog. Kazeem, Yomi. 2017. “A Dogged Transparency Campaign Reveals Why It Pays to Be a Lawmaker in Nigeria.” Quartz, 2017. Mark, Monica. 2012. “Nigeria Faces Mass Strike and Protests over Discontinued State Fuel Subsidy.” The Guardian, January 8, 2012. Open Alliance Nigeria. n.d. “Open Alliance Nigeria.” Accessed August 13, 2018. http://openalliance.ng. Open Knowledge International. n.d. “Impact Case Studies: OpenSpending.” https://okfn.org/about/our-impact/impact-case-study-7-openspending. OpenSignal. n.d. “Coverage Maps.” Accessed August 13, 2018. https://opensignal.com/networks. PwC. 2016. “Impact of Corruption on Nigeria’s Economy.” https://www.pwc.com/ng/en/assets/pdf/impact-of-corruption-on-nigerias-economy.pdf. “Tracka Uncovers a N41 Million Non-Existent Youth Centre in Jega Community, Kebbi State.” 2018. BudgIT Blog. May 21, 2018. http://yourbudgit.com/tracka-uncovers-a-n41-million-non-existent-youth-centre-in-jega-community-kebbi-state. Transparency International. 2017. “Corruption Perceptions Index 2017.” https://www.transparency.org/news/feature/corruption_perceptions_index_2017. UNESCO. n.d. “Nigeria.” Accessed August 13, 2018. https://en.unesco.org/countries/nigeria. Washtell, Francesca. 2014. 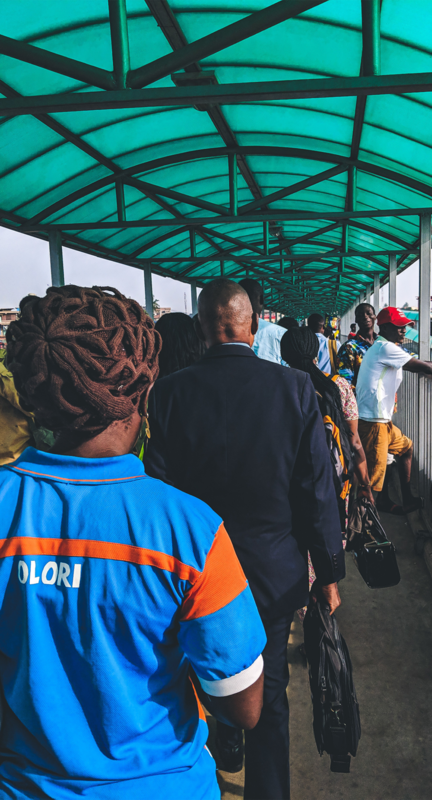 “Nigerian Tech Start-up Bridges the Gap between Government and Its Citizens.” Africa at LSE Blog. July 7, 2014. http://blogs.lse.ac.uk/africaatlse/2014/07/07/nigerian-tech-start-up-bridges-the-gap-between-government-and-its-citizens. World Bank. n.d. “Nigeria.” Accessed August 13, 2018. https://data.worldbank.org/country/Nigeria.